Save the downloaded setup program to your computer. You need to run the setup program on the computer on which it is to be installed. Running the setup program will start a guided setup. Setup typically takes about one minute. No files will be added to the directory of the setup program itself. 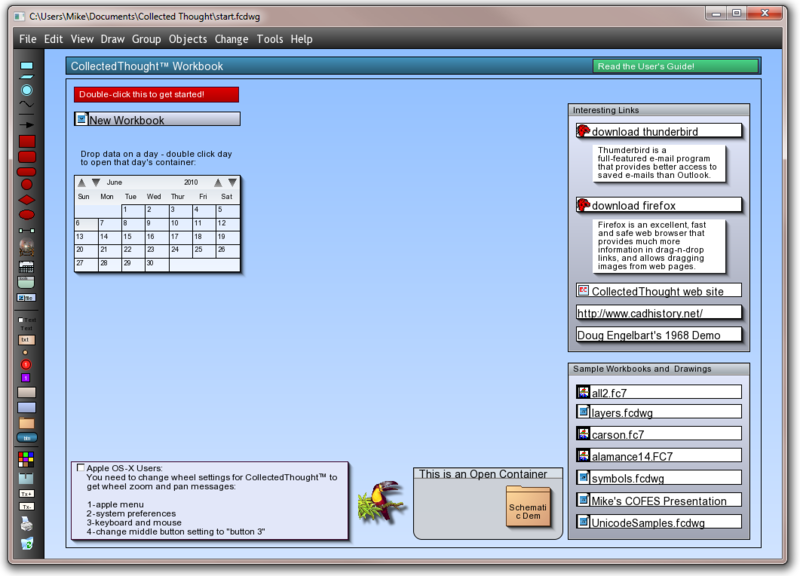 CollectedThought will be installed in the standard shared Program Files folder. A shortcut icon will be placed on your desktop. This version only works on Intel-based Macs that have Apple OSX 10.7 or later installed. Open the downloaded .dmg file and then open the disk image folder. Click on the setup program icon and a guided setup program will start. CollectedThought will be installed to the standard Applications folder. The setup program does not place an icon on your desktop or on the dock. You may locate the program after setup in the Applications folder and right-click to create an alias and drag it to your desktop, or you can drag the original icon to the dock for convienience. Save the downloaded setup program to your computer. You need to run the setup program on the computer on which it is to be installed. Running the setup program will start a guided setup. Setup typically takes about one minute. No files will be added to the directory of the setup program itself. EvTk, CollectedThought, FastCAD and EasyCAD are registered trademarks of Evolution Computing, Inc.
©1998-2014 Evolution Computing, Inc. All Rights Reserved.